Two interesting pieces raising this question in my mind again. The first was an essay by Ben Gilad, in a SCIP publication, asking whether or not competitive intelligence had become “Googlized”, that is, evolving into a situation where, because of the access to information through the Internet, the practice of competitive intelligence will be in the hands of line managers and not competitive intelligence specialists within large corporations. One key trend underlying this is that many end-users of the competitive intelligence seem to view it as being basically the collection and organization of raw data, and not the critical analysis of that data. Let me dissect why I was taken by the quote. First, it described the president’s intelligence briefing as containing “information”, not intelligence. Second, it indicated that at least 75% of the contents of the daily intelligence briefing came from government cyber spies. In other words, they do not come from open source materials or communications with government employees and diplomats, but rather from hacking into the computers of other nations. Hacking provides data, sometimes information, and only rarely intelligence. Yet it seems that raw data is now what passes for some intelligence at the governmental level. I doubt that is the universal case, and sincerely hope that is not true. For if it is, then the craft of intelligence, at least at the government’s highest levels is becoming more a matter of repackaging data into information than it is providing truly insightful and actionable analysis. What do these two pieces have in common? In government we see a possible pattern that is similar to Ben’s observations in business about competitive intelligence managers being replaced by data gatherers, not analysts. What we need for business to function effectively is not more data, whether from open sources or from government cyber spies, but rather insightful and actionable analysis. That is not provided by overwhelming the end-user with data. In the end, doing that only chokes off decision-making by minimizing or even eliminating analysis. It creates the erroneous impression that one knows what is going on, when all that one has is a mass, or mess, of raw or somewhat digested data. To draw from another discipline, cooking, there is a huge difference between the meat, vegetables, and other ingredients, the raw data if you will, and the intermediate products as delivered by the prep chef, the trimmed meat, the sliced vegetables, ready for cooking. That is the information. Then the chef converts the intermediate products into Beef Wellington, the meal. Preparing the meal is the equivalent of using analysis to generate intelligence. Right now it seems as if, both in the public and private sector, we are in danger of people confusing raw meat and vegetables, or prepared meat and vegetables, with a gourmet meal. If that is the situation, that is worse than unfortunate. No, the president is not being served raw vegetables in his daily brief; cyberspace has however had considerable impact on the intelligence world. 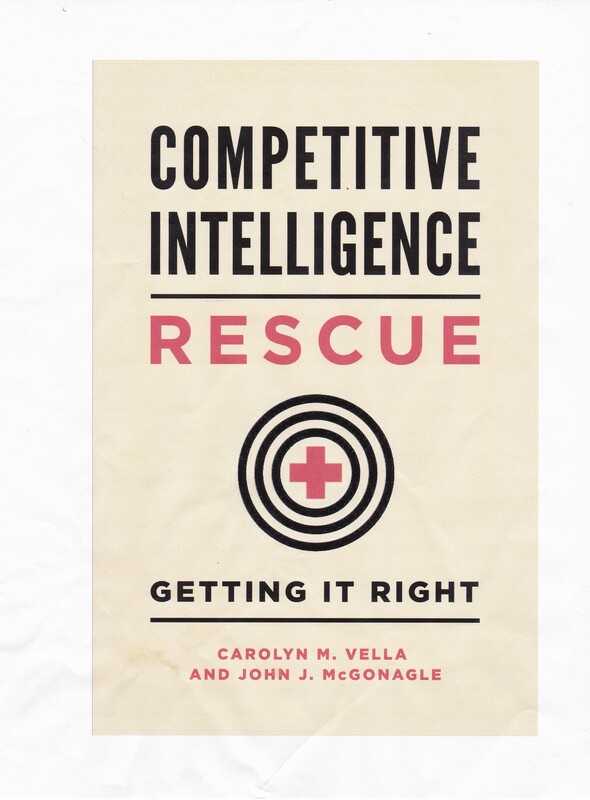 Dr. Gilad is correct that competitive intelligence has become Googlized. This is the inevitable evolution of the information-reporting-centric practice CI has become.